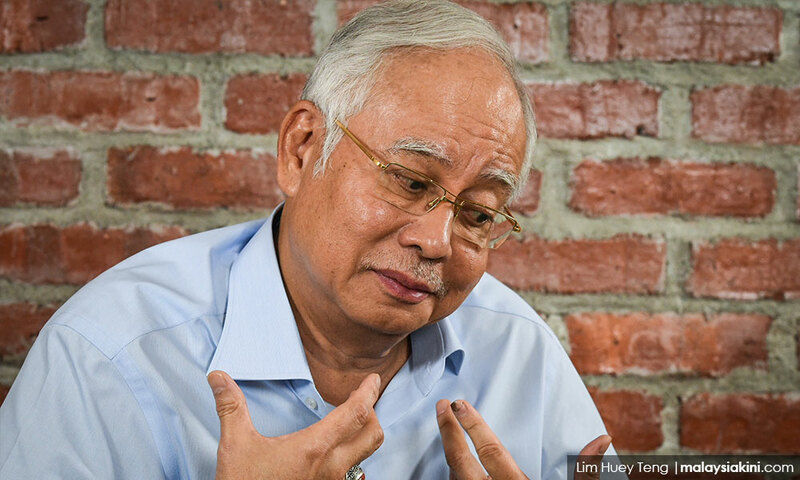 EXCLUSIVE | Najib Abdul Razak said he feared that due to the relentless campaign and allegations hurled against him, the new government has placed itself in a position where it would have no choice but to arrest and charge him. The former premier said this in an exclusive interview with Malaysiakini last week. He was arrested this afternoon. “The Pakatan Harapan government’s current political storyline is simple: ‘Najib stole billions’. Hence, the country is close to bankruptcy and (Harapan) cannot deliver their manifesto promises and may have to sell off or privatise state assets such as Petronas. “Already, the Japanese newspapers have reported that The Philippines’ San Miguel conglomerate is eyeing our state oil and gas assets,” he said. Najib said this coupled with what he described as a “misleading claim” that the national debt was at RM1 trillion left Prime Minister Dr Mahathir Mohamad’s administration with little room to manoeuvre. “This situation and what they have said before means that the new government simply has no choice but to eventually arrest or charge me even though I did not steal. I maintain that I am innocent as I am not a thief,” he stressed when asked if he was concerned about being arrested. The former premier hoped to be accorded a fair trial in the event he is charged, pointing out that a judiciary free of political influence was one of Harapan’s promises. “What Malaysians want to see is the rule of law, not only being said but practised so that they will have this conviction that we have a transparent system. “This is not a test for me, but a test for the system – whether the system can reflect the trust that the people must have in the system. “I believe in my innocence. Therefore, the only way I can clear my name is through a system that is fair and a system that is predicated on the rule of law,” he said. Asked if he believes if his political rivals would allow a fair trial, Najib said he could not be certain of this. “This is a test, a test for Malaysia,” he reiterated. “Can Malaysians rely on these institutions, (such as the) system of justice and more? Everybody (should have) a chance to prove themselves under the system,” he added. Soon after capturing federal power, the Harapan government reopened investigations into 1MDB and SRC International, which it had accused Najib of stifling when he was in power. Meanwhile, the former premier reiterated that he had no desire to flee from Malaysia after BN lost in the May 9 general election. “I had no inclination, no desire to leave the country. Once you leave the country, it is a presumption of guilt and you are a fugitive for the rest of your life. “I am not prepared for that. This is my country. I am not going to leave this country,” he added. Najib was also questioned on how he dealt with the public perception which appeared to be skewed against him. “I am still welcomed and well-liked in certain sectors and certain sectors probably have the opposite feelings towards me,” he said. However, the former premier said he welcomed the chance to clear his name and asked the public not to judge him before that. “I hope the public will not pre-judge me because there is a lot of slanders and a lot of things are being said, even though I am no longer in office. “Hopefully, the public will be fair and judge me also on all the good things I have done in the country,” he added. For example, Najib said, he resided over management of the economy which prevented two recessions from taking place; one in 2009 and another a few years ago when the global oil prices collapsed. “By right, our country would have been in a bad recession due to the Great Global Recession of 2008 to 2010 and the collapse of the oil prices in 2015 and 2016 – possibly worse than 1985 or 1998, but due to our policies then, Malaysia avoided hardship and continued to grow,” said Najib. He also defended the GST, which was implemented in April 2015 under his administration. He said the revenue from GST acted as a buffer in case there are external factors weakening the economy. 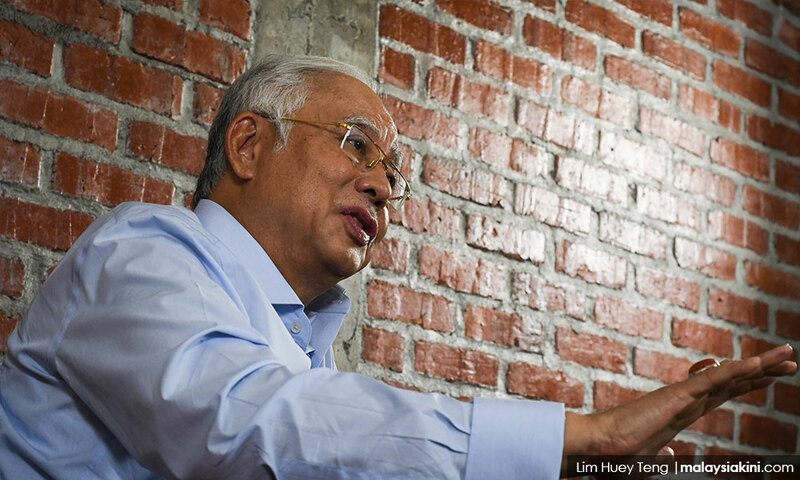 As for the cash handouts BR1M, Najib said it was Bank Negara Malaysia’s suggestion. “I was attacked, saying cash is king and all that, but it was actually an idea mooted by Bank Negara in one of the briefings,” he added. He said the central bank had suggested removing certain subsidies and channelling the money saved, into BR1M to provide direct cash aid to those in need. “I also made sure EPF and other funds paid good dividends so that the people’s wealth and income increases,” he added among other successes. Najib then pointed out that EPF’s funds more than doubled from RM300 billion to RM850 billion while Tabung Haji’s funds increased from RM30 billion to RM70 billion during his nine years in charge.